Before construction begins archaeologists will excavate the whole length of the route. 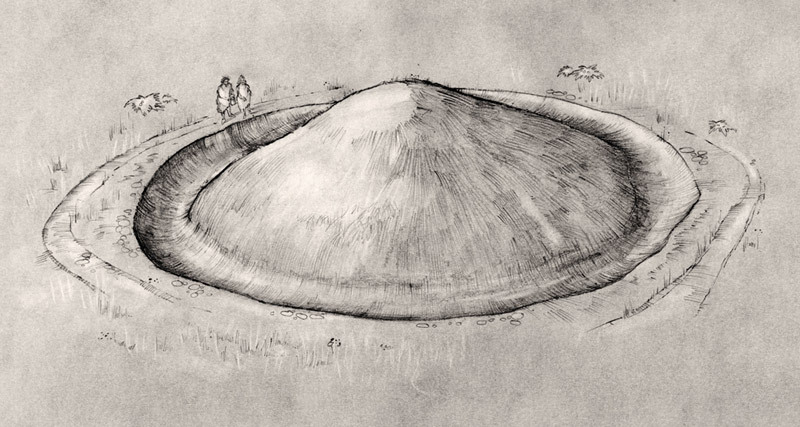 This will be the largest excavation in Britain in 2010, covering approximately 40 hectares. Visit the project blog to keep up to date with the latest archaeological news. At the end of the last Ice Age about 12,000 years ago, the melting water from the shrinking ice caps and glaciers made sea levels rise. The higher sea level made Thanet an island and it was separated from the mainland by the Wantsum Channel until medieval times. Being an island helped make Thanet distinctive. Its rich soils were attractive for settlement and farming and many sites of prehistoric date have been found. The number of Bronze Age burial mounds suggests that 3,500 years ago Thanet was one of the most populated areas in Britain. Thanet has witnessed many dramatic historic events. 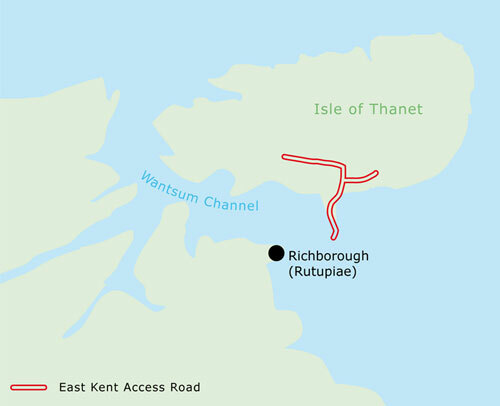 In AD 43 the invading Roman army under the emperor Claudius landed at Richborough (Roman name; Rutupiae) and built a great fortress there which became the gateway to Roman Britain. Three hundred years later at the end of Roman empire a new fort was built to help defend Britain from raids by the Saxons. The walls of that stone fortress stand to this day. Eventually, the Saxons came to settle and many of their cemeteries have been found in Kent. It was on Thanet that St Augustine and his mission are thought to have landed, helping to bring Christianity to Britain. The closeness of continental Europe means that over the centuries the Isle of Thanet was a ‘gateway’ for people and ideas moving between mainland Britain and continental Europe. It was also at the forefront of defences through many wars. Manston airport originated as a fighter base to help defend the south-east and London. 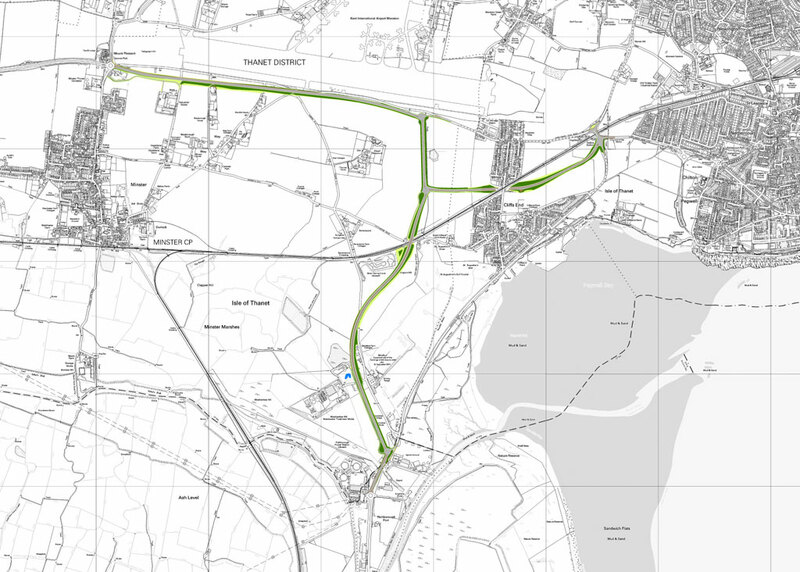 The new road will make travel safer and it will provide better transport links for the towns and ports of Thanet. This change also provides an opportunity to discover more about Thanet’s changing past, from prehistoric to modern times. Explore our website to find out about the latest discoveries, how to join in, and to see and hear more. The archaeological work is being done by the Oxford Wessex Archaeology joint venture on behalf of VolkerFitzpatrick Hochtief who are building the new road for Kent County Council.